The Fundica Roadshow is proud to announce its continued partnership with Panache Ventures, Canada’s most active seed stage venture capital fund, and BCF Ventures, a Super Angel fund investing in pre-seed and seed, technology-based companies. The funds will consider investing a combined total of up to $800,000 CAD in the most promising tech startups at the 2019 Fundica Roadshow, a cross-Canada pitch competition that aims to educate, inspire, and fund entrepreneurs. Last year, the Fundica Roadshow brought together over 150 pitching startups, 2,200 entrepreneurs, 75 investors, and over 110 community partners, maintaining its status as the largest pitch competition in Canada. 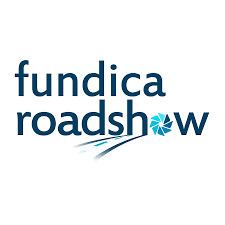 The 2019 Fundica Roadshow will have three regional stops (Vancouver on April 4th, Montreal on April 25th, and Toronto on May 16th). In each city, up to 16 startups will pitch to a panel of investors. The best 3 startups from each city will receive a package of prizes and perks as well as a spot at the Montreal finale on June 20th, where they will compete for the $800,000 equity investment award, provided by Panache Ventures and BCF Ventures. The regional events will be invite-only, open to select startups, investors, and partners, while the finale will be open to all registered attendees and will feature insightful and entertaining keynotes and panelists, investor and entrepreneur networking opportunities, and a live pitch competition. It has been 7 years since the Fundica Roadshow first launched, and since then, its participating startups have cumulatively secured over $82 million in follow-up investments. For more information on applying or attending, please visit https://www.fundicaroadshow.com/. Fundica, Canada’s most successful funding identification and connection platform, matches entrepreneurs, private investors, public funders, and advisors. Through our award-winning crowdsourcing/crawler technology, Fundica provides an up-to-date, comprehensive, and intuitive platform. Additionally, Fundica manages the Fundica Roadshow, an annual cross-Canada initiative. For more information, visit www.fundica.com. Panache Ventures is the most active Canadian seed stage venture capital fund. The firm is led by a team of experienced operators with a strong record of angel investments, years of institutional VC experience, and a solid network in Canada, Silicon Valley, and globally. The fund has a founders-first philosophy, a commitment to diversity, and a strategic seed/angel co-investment model. BCF Ventures is a pioneer in the Canadian investment scene by being one of the first Super Angel Funds, now converted to a full-fledged venture capital fund. Based in Montreal, BCF Ventures invests at the pre-seed and seed stage of technology-based startups, mostly in North America and opportunistically in Europe/Israel. The fund leverages its extensive network of international co-investors in order to multiply the fundraising capacity of the companies that are selected. For more information, visit https://bcfventures.vc/.